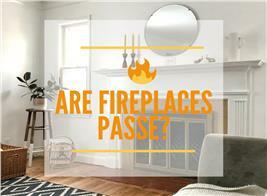 As a homebuyer, you want a house that will last and look amazing, in the style you desire. Finding it means knowing what you are looking at and what it offers. 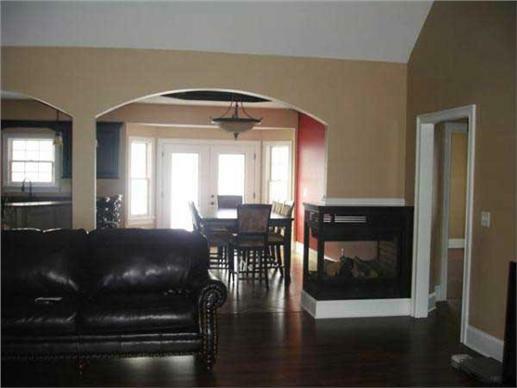 The Acadian style of home could be right for you if you are looking for rich architecture and plenty of detail. Explore the options available to you here. Why Is Acadian So Popular? 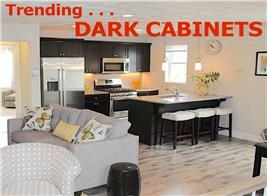 Acadian home plans are some of the most sought-after homes in today's market. There are various reasons for this. First, the style is timeless and may be described as a “forever home.” It offers the features that have proven the test of time, evolving and improving over more than two centuries to match the needs of its native Gulf Coast and the South in general. Second, today’s house designers have succeeded in adapting the timelessness of the style to modern tastes by focusing on sought-after features that reflect 21st century lifestyles: easy living in roomy, open floor plans. Brick – popular on Acadian homes – is one of the most-low-maintenance exteriors there is (Plan #170-1082). What Makes a House Acadian? As with almost any style, exterior features are the telltale signs of an Acadian home. The slope is highly effective at shedding snow and water and provides upper-level space for storage and sleeping quarters. The hip roof broadcasts the style’s French/European ancestry. Most Acadian houses tend to be a single level and may often be described as a variation on the ranch style, but there is some variation to this, so don’t be surprised to see two-story homes described as Acadian. A steep hip roof and a single-story structure are hallmarks of Acadian style (Plan #101-1123). When you have a covered front porch like the one above on this 2,218-sq.-ft., 4-bedroom, 2.5-bath home, all you need is sweet tea and a rocking chair (Plan #141-1102). Very early Acadian homes had wood siding, often local cypress from the Louisiana swaps. 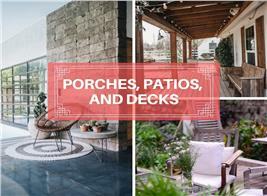 These days, although the entire house may not be brick or stone, masonry is usually incorporated in some way, again harking back to the style’s European roots. 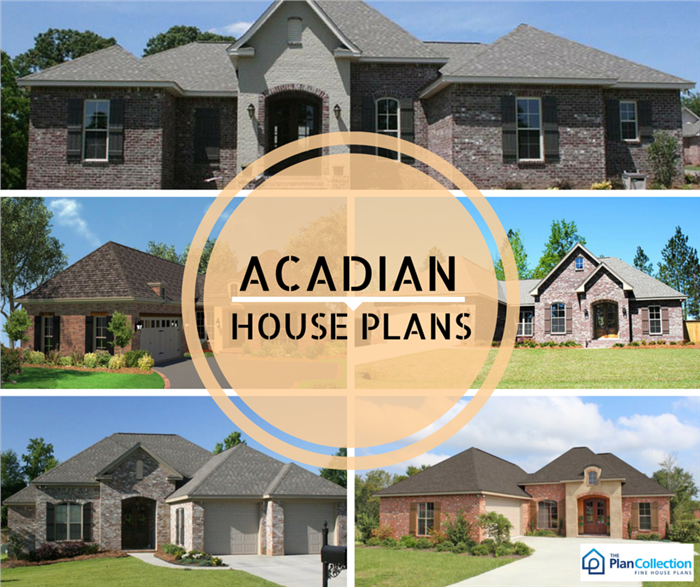 View more Acadian house plans at The Plan Collection and discover for yourself what makes them so popular. Formally, Acadian-style architecture can be traced to Canada, specifically French Canada, with its strong European influences. Often found in Canadian maritime areas, the style was popular because the steep-roofed, low-maintenance houses are easier to care for in snowy, wet climates. When the British expelled the French Acadians from Nova Scotia (Acadie) in the mid-1700s, they made their way to French Louisiana and brought their architecture with them. Eventually, the Acadian style became popular in the South, especially in Louisiana and the Gulf Coast among the Cajun population, descendants of the Nova Scotia Acadians. Over time the style incorporated Southern Antebellum features such as covered porches and window shutters to protect against stormy winds and became popular in region-specific areas like Mississippi, Alabama, and even Tennessee. • The Billeaud House in Broussard, LA, was erected prior to the Civil War. • Built by an unknown carpenter and under construction for more than year, the Dorsene Castille House (circa 1860) is a historic landmark in Acadian Village. • The Thibodeaux House (circa 1820) was fabricated using local Louisiana cypress. Unlike original primitive Acadian homes, Nouveau Acadian houses have an exterior that is often brick and/or stone. Masonry is easy to maintain and holds up well in storms. 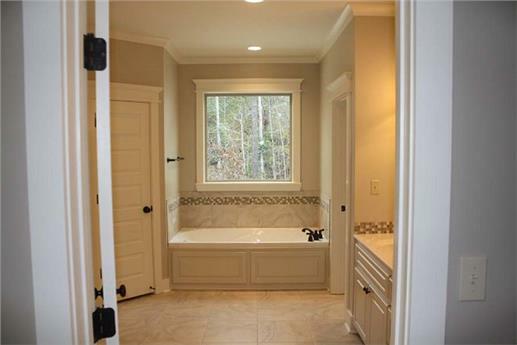 Look for first-floor master bedroom suites with roomy master bathrooms. 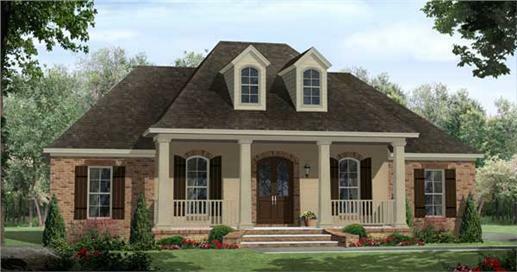 The Acadian style home above has a lovely master bedroom suite with a master bath on the first floor in keeping with the French country style (Plan # 142-1048). 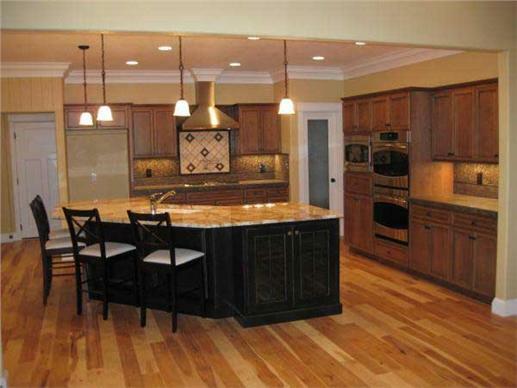 Today’s Acadian homes have large kitchens with some or all of the following: islands or peninsulas with stone countertops, eating bars, pantries, breakfast areas, and bill-paying countertop desks. The country style kitchen has an open concept plus a large kitchen island with plenty of seating in this Acadian style home. The wood floors add to the Acadian style feel in the interior of the home (Plan #141-1001). True to modern sensibilities, Acadian homes usually feature open floor plans, with kitchen, dining area, great room, and perhaps hearth room or other specialty area flowing into one another. This Acadian style home has a traditional exterior yet an interior that is both in keeping with traditional looks but with the conveniences of modern living plus a floor plan design that is open and appealing to today's families. See more photos of Plan #141-1025 here). You don’t have to be Cajun—or even live in the South—to appreciate Acadian-style homes. Today’s Nouveau Acadian designs have something for everyone!